The MPU-1 is a dedicated safety monitor designed to measure the leakage current in Overhead Lines AC Low Voltage and Medium Voltage power networks. It is designed to make measurements of a networks leakage current to define the safety condition. The device enables the engineer to set limits for a maximum safe value of flowing leakage current and values above this limit activate a visual and audible alarm to give a warning. 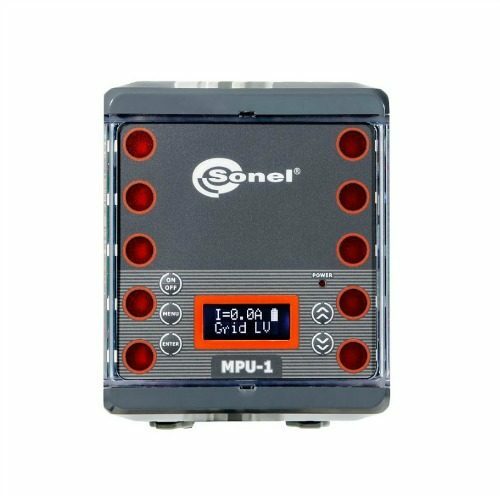 The MPU-1 provides a constant monitoring of any current flowing to earth by using a single or double clamps on 50Hz or 60Hz voltage networks. IP67 rating for operation and use outside in all working conditions.